Obviously Cleo Weidlich had made a pre-acclimatization in Nepal. She is accompanied by three Sherpas. At my request, the expedition organizer Adventure Tours Pakistan told me the names of the other team members. 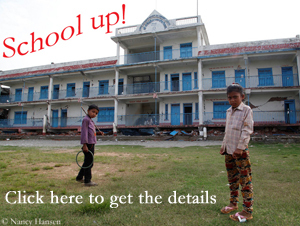 The 45-year-old Pema Tshiring Sherpa, the 33-year-old Temba Bhote and the 30 year old Dawa Sherpa Sangay, all from Sankhuwasaba District in eastern Nepal, will support Weidlich. 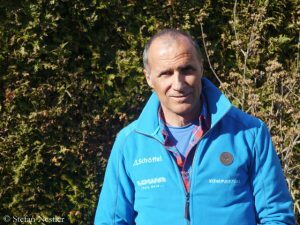 On the one hand, they may benefit from the work of the “Nanga Dream” climbers, who had already prepared the Schell route up to an altitude of about 7,300 meters (expedition leader Marek Klonowski contradicted reports that Pavel Dunaj and he had reached a height of 7,500 meters). On the other hand the Sherpas may have to start from scratch doing the trail-breaking due to continuing snowfall during this week. Cleo Weidlich’s reputation in the climbing scene is not exactly the best. In the past, the 52-year-old sometimes took liberties with truth. At times, Cleo claimed to have scaled ten of the 14 eight-thousanders, later she backpedaled to eight. 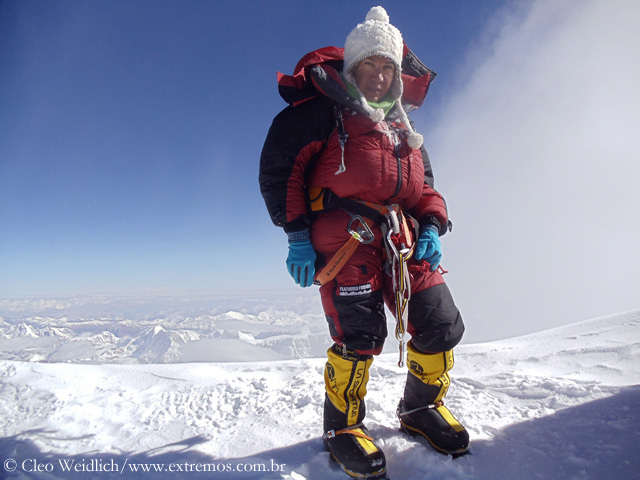 But only six of her summit successes are confirmed: Cho Oyu (in 2009), Gasherbrum I (2010), Mount Everest (2010), Manaslu (2010), Kangchenjunga (2011) and Dhaulagiri (2012). 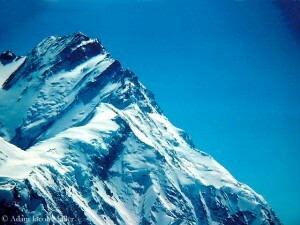 Her claimed ascent of Annapurna in spring 2012 is still listed as “disputed” in the “Himalayan Database” of Elizabeth Hawley, the legendary chronicler of high altitude mountaineering in Nepal. 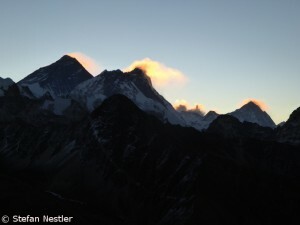 In autumn 2012, Weidlich also claimed to have climbed Makalu. In this case too, she missed to prove the summit success. Her statements to Miss Hawley were so contradictory that Cleo’s alleged ascent was not even listed in the category “disputed”. In spring 2014, Cleo made worldwide headlines, when she was flown – as well as the Chinese Wang Jing – by helicopter from Everest Base Camp to Camp 2 at 6,400 meters from where she wanted to climb the 8516-meter-high Lhotse. At this time, almost all commercial expeditions had left Everest prematurely. This was due to the avalanche in Khumbu Icefall which had killed 16 Nepali climbers on 18 April 2014. It had led to fierce debate on the safety of local high altitude porters. 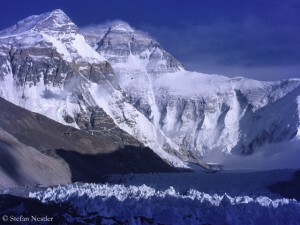 After the departure of almost all teams, the government had granted an exemption to fly to high camp in order to bring down expedition equipment. Normally, helicopter flights on Everest are only permitted for rescue. After having been flown to Camp 2, Wang Jing and her Sherpa team reached the summit of Mount Everest on 23 May. Cleo Weidlich later said that she had not even seriously tried to climb Lhotse.